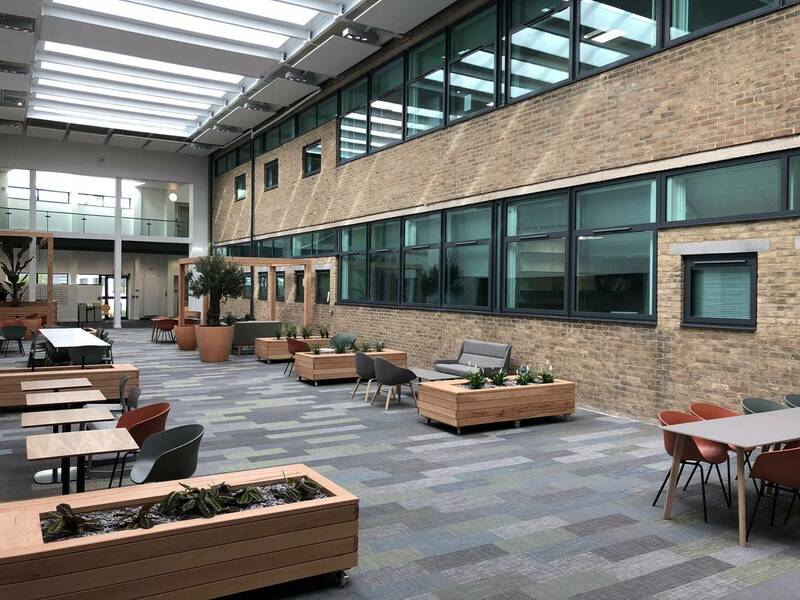 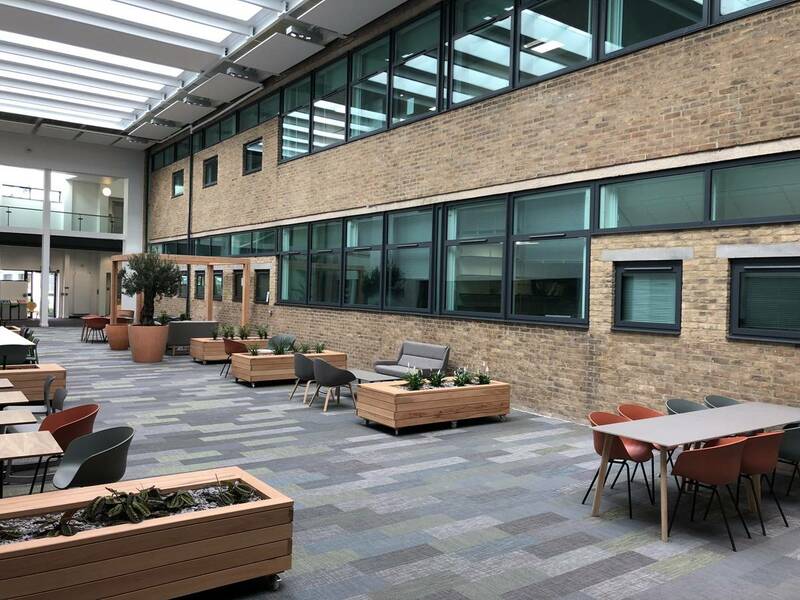 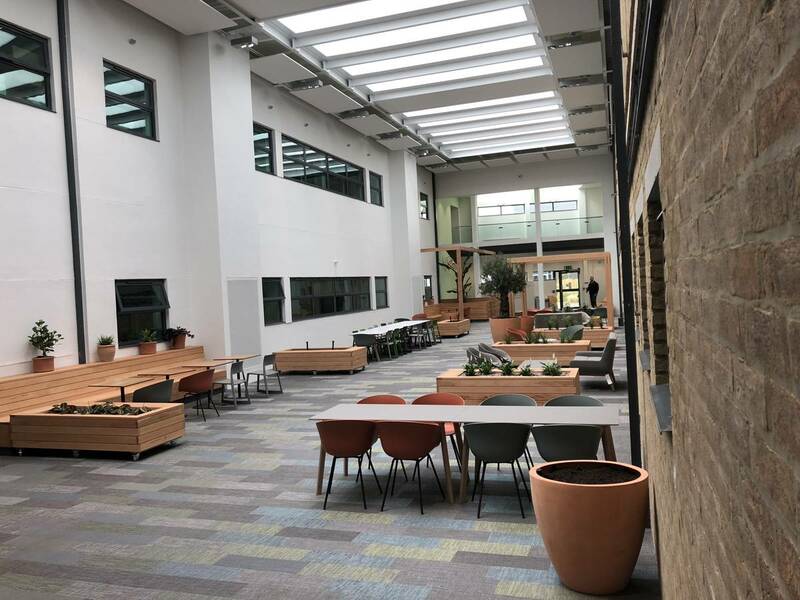 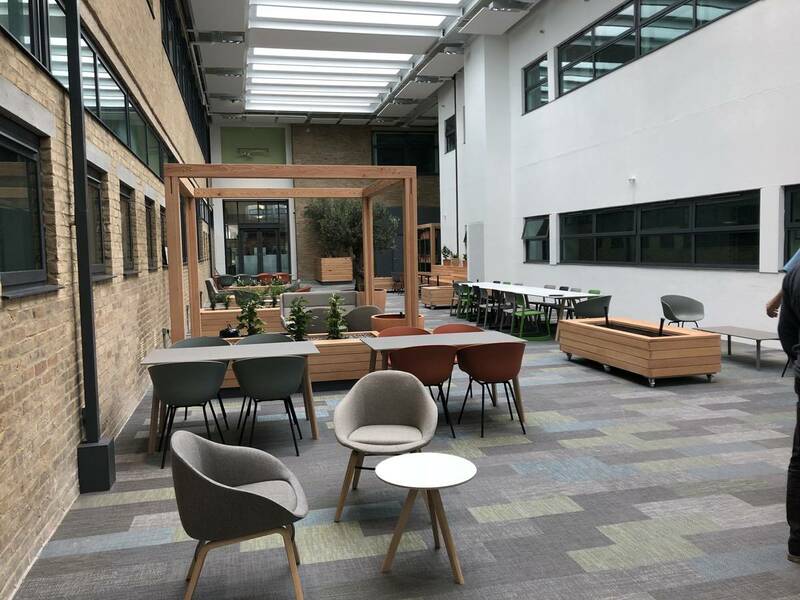 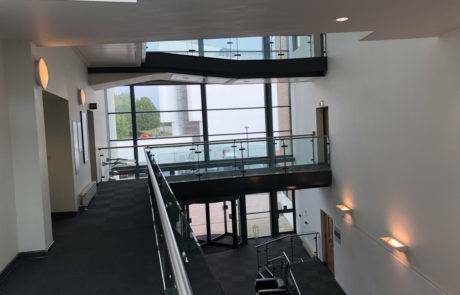 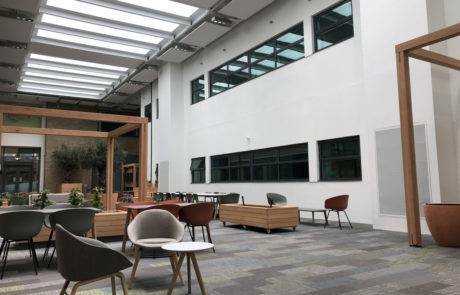 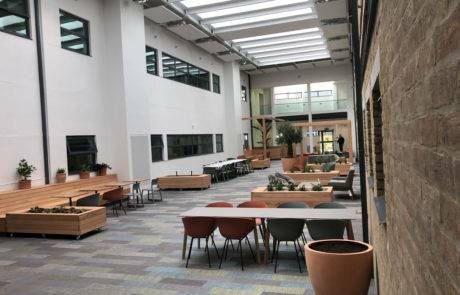 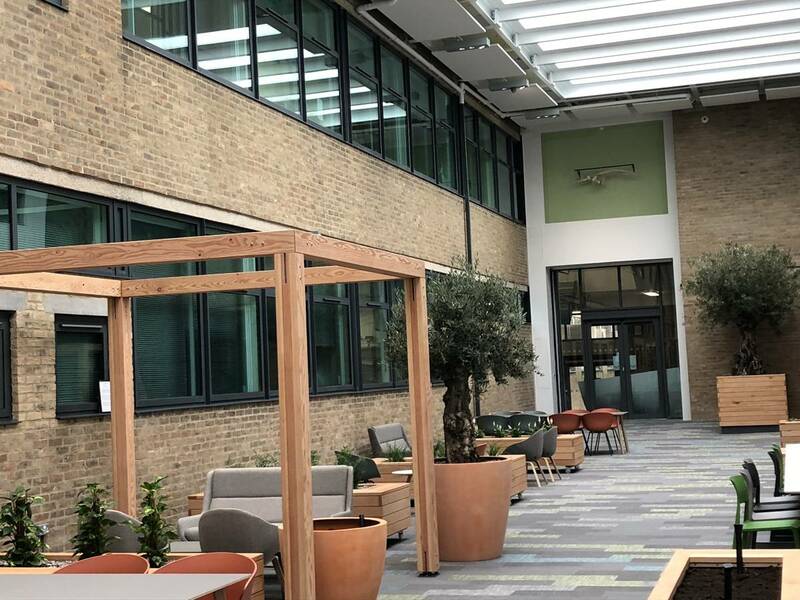 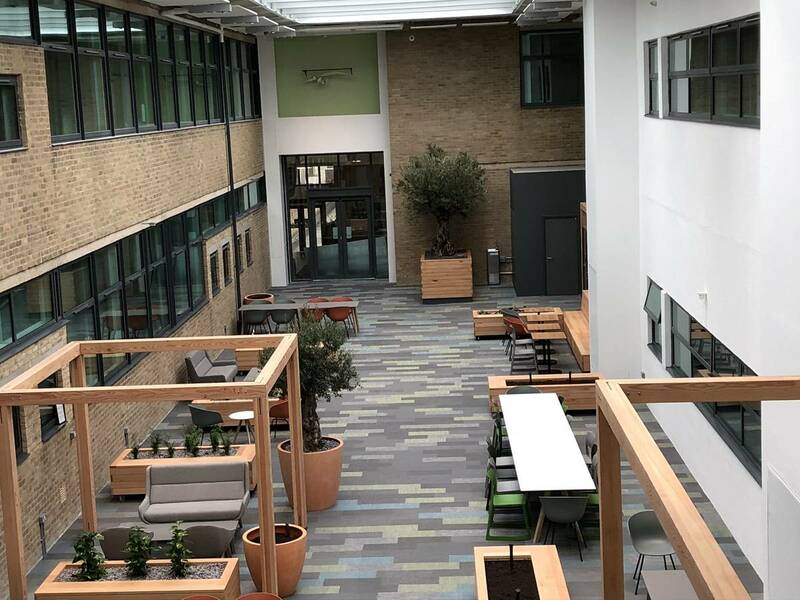 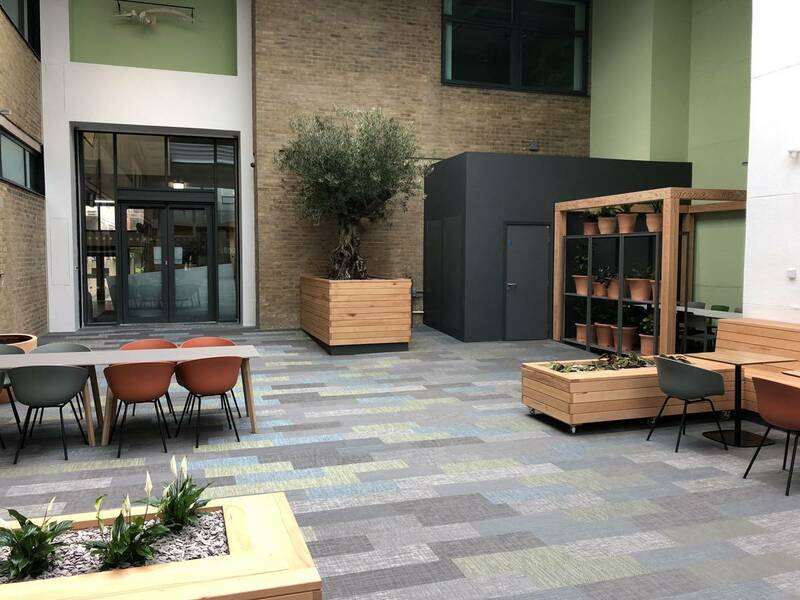 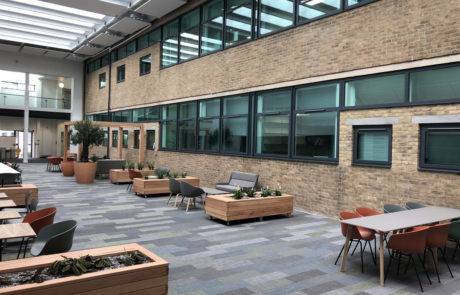 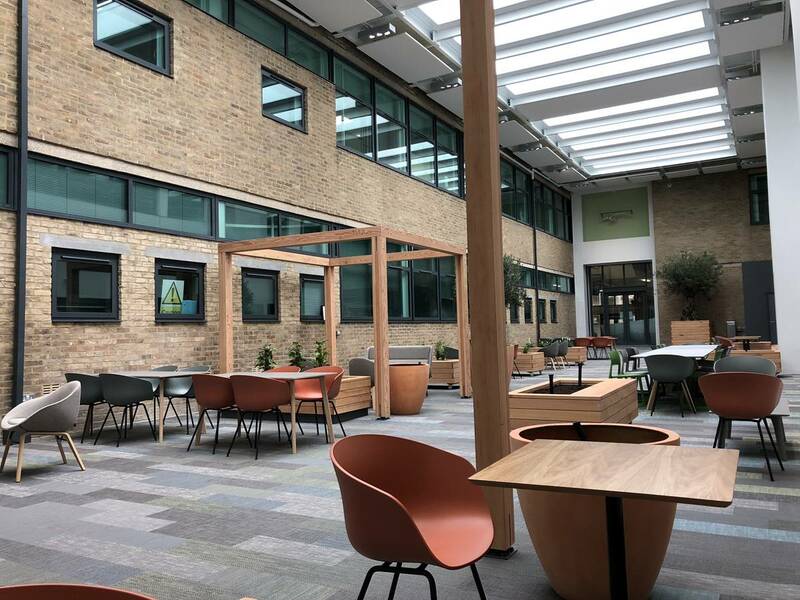 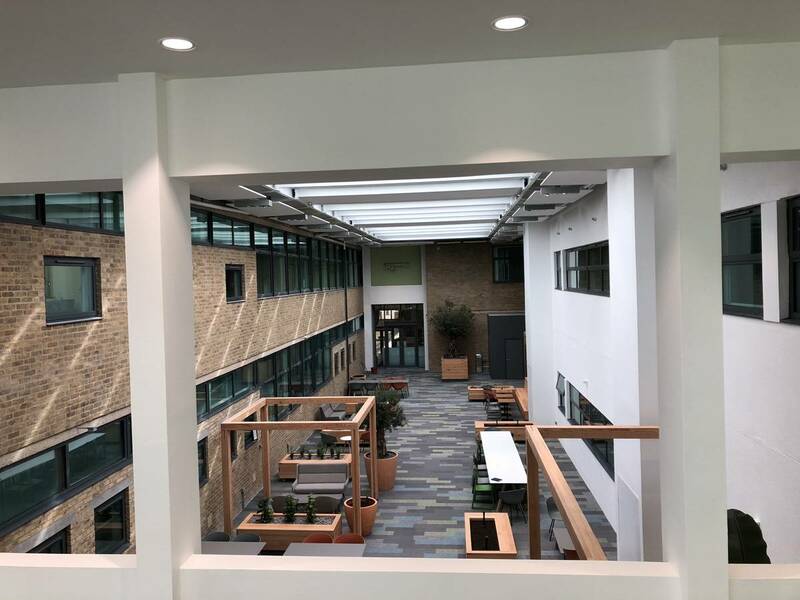 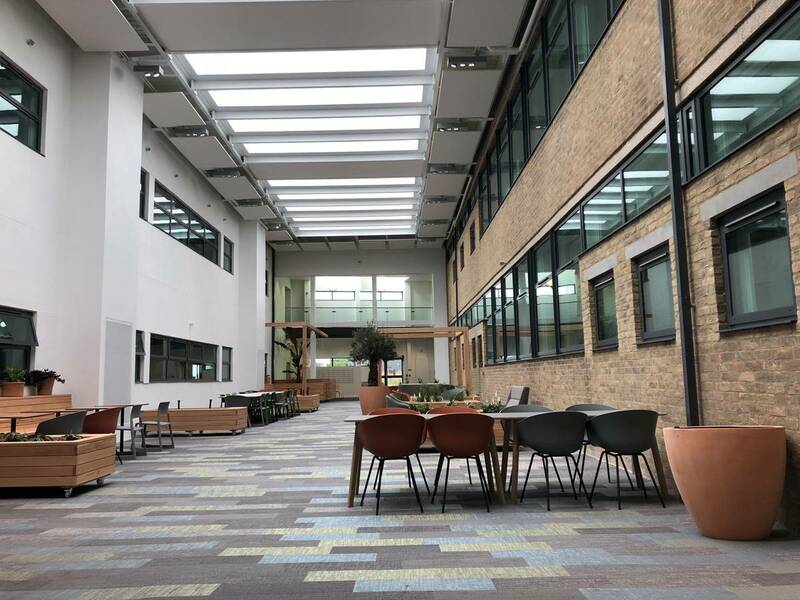 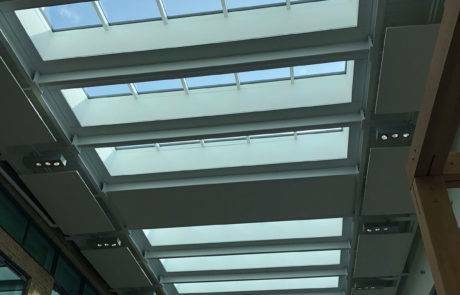 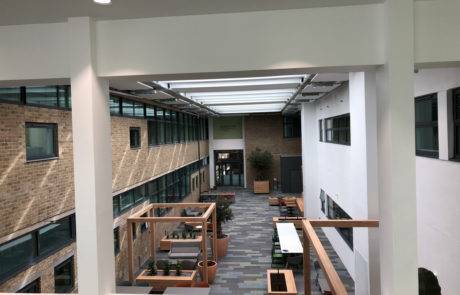 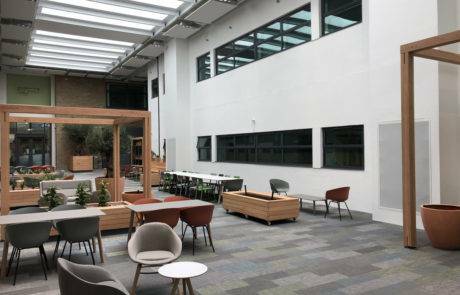 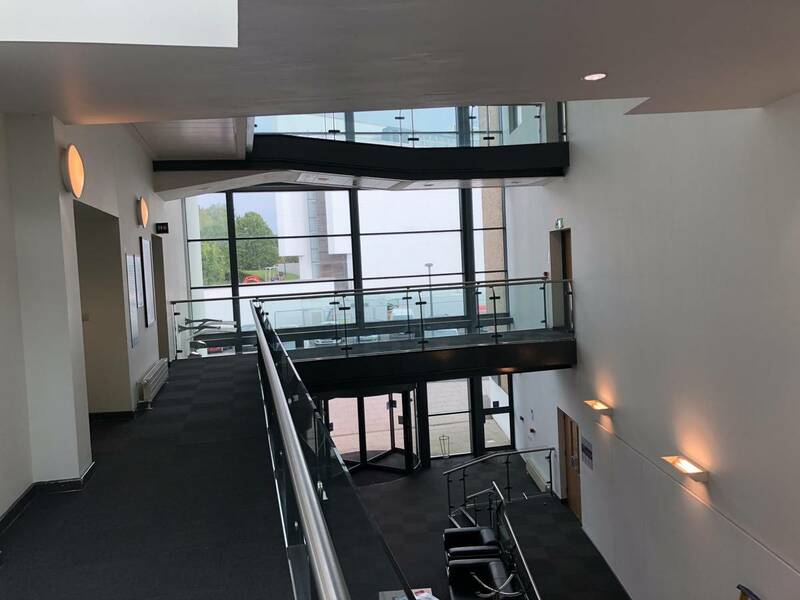 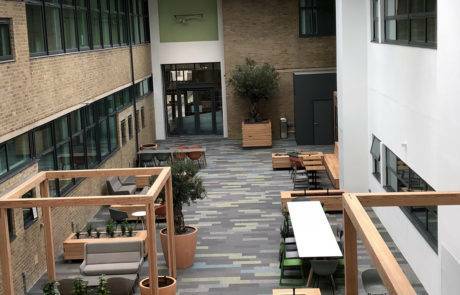 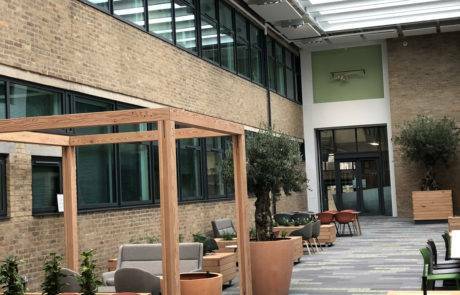 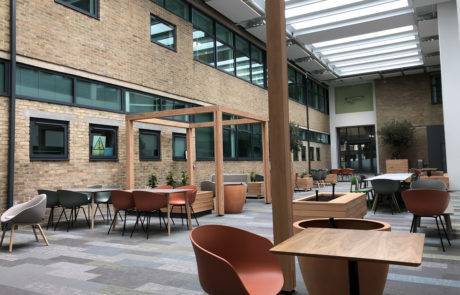 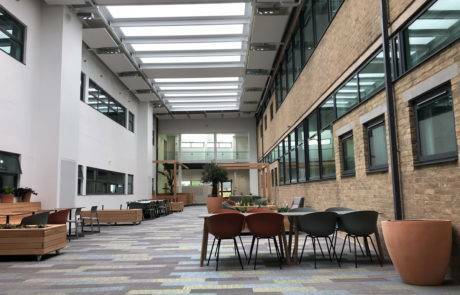 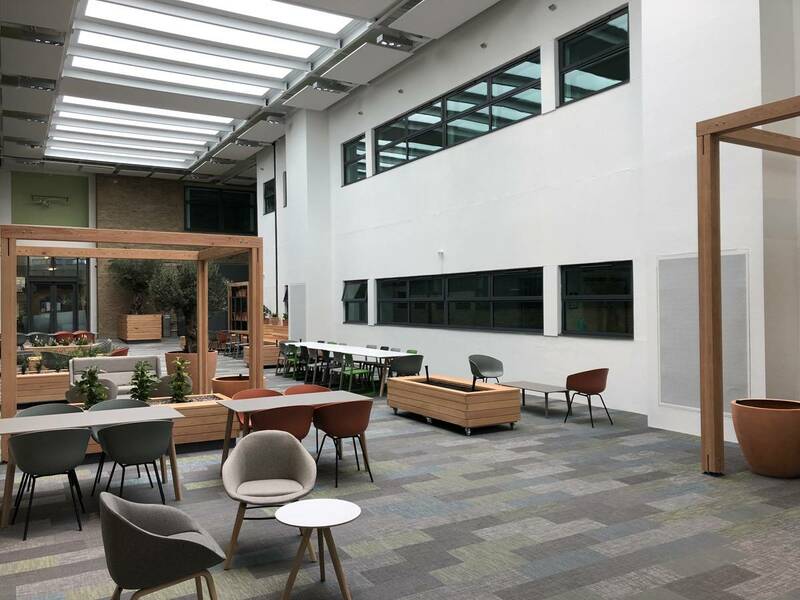 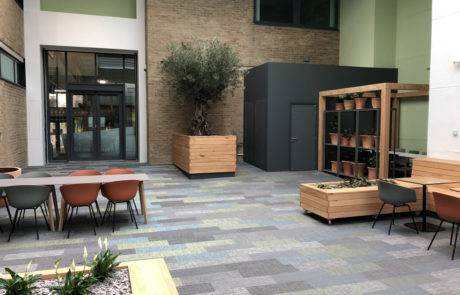 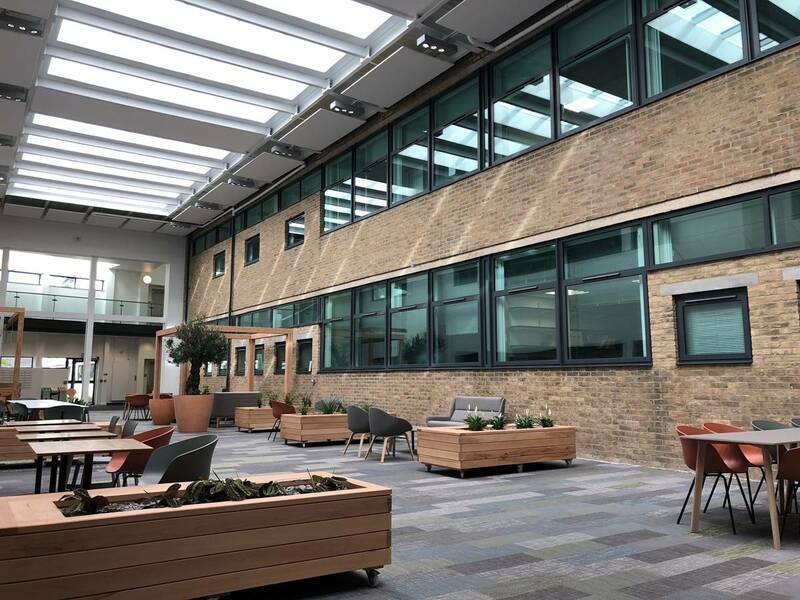 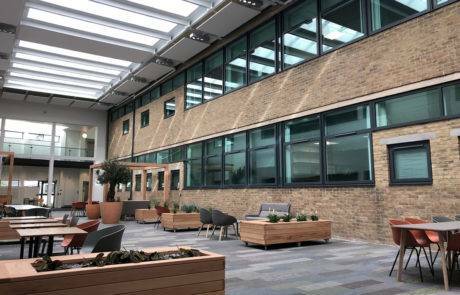 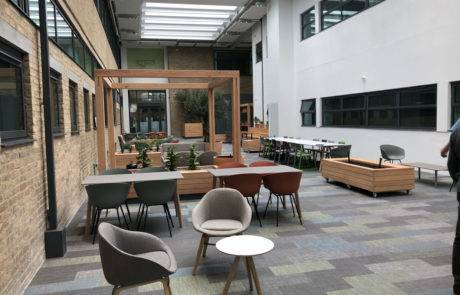 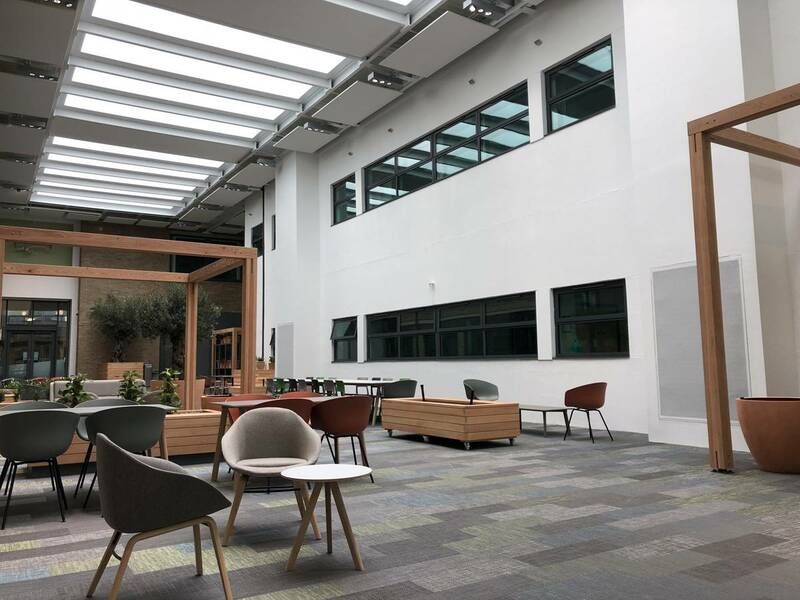 A stunning refurbishment of the atrium within the Lancaster Environmental Centre (LEC) has been successfully completed. 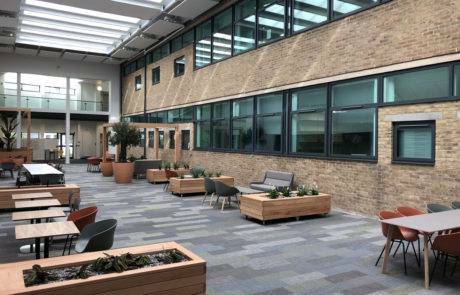 This project was to create a vibrant new space within the parameters of the existing building and external covered courtyard. 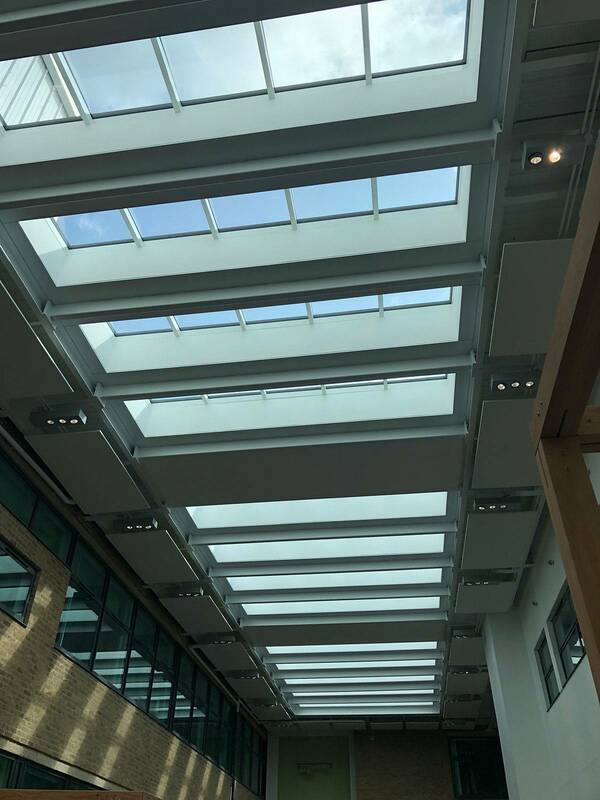 The LEC building is home to a community of high-achieving students, world class-environmental researchers, government scientists and enterprises working together to address todays biggest environmental challenges. 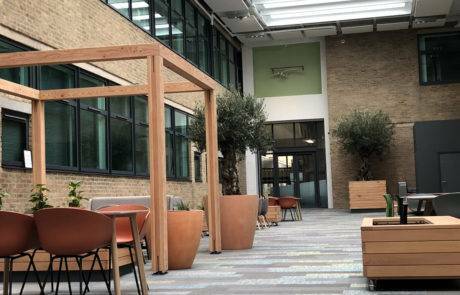 Because of this, Wilson Mason Architects considered design features that ensured the refurbished space reflected the look & feel of the people that use it. 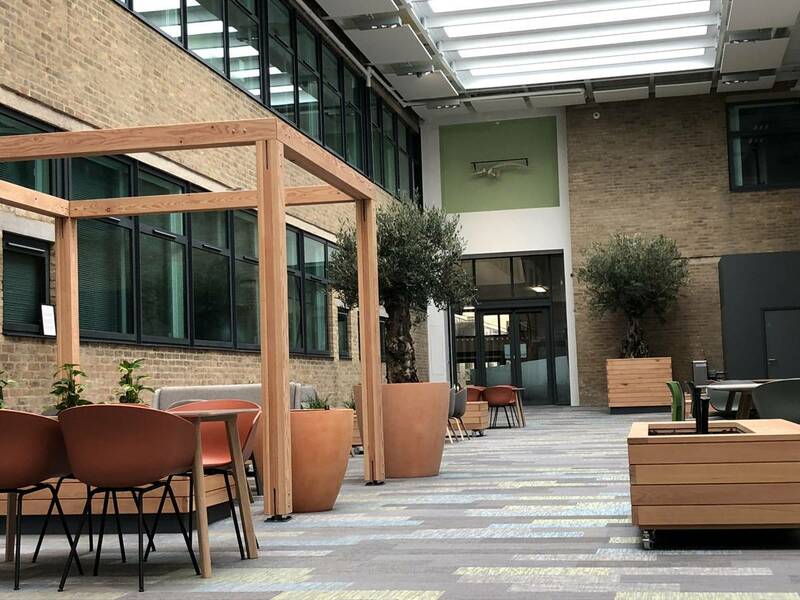 Sustainable design features were incorporated such as a 100% recyclable Bolon Flooring, a glazed roof – designed to capture daylight and distribute it evenly across the atrium (therefore reducing the need for lighting), Water-based earthborn Clay paint (virtually VOC free & carrying the EU Ecolabel) and 100% recycled fabric material coverings plus a high tech ventilation system that will maintain an even temperature all year round. 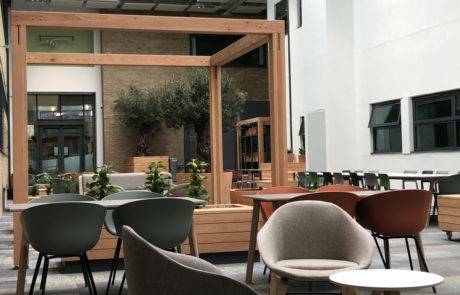 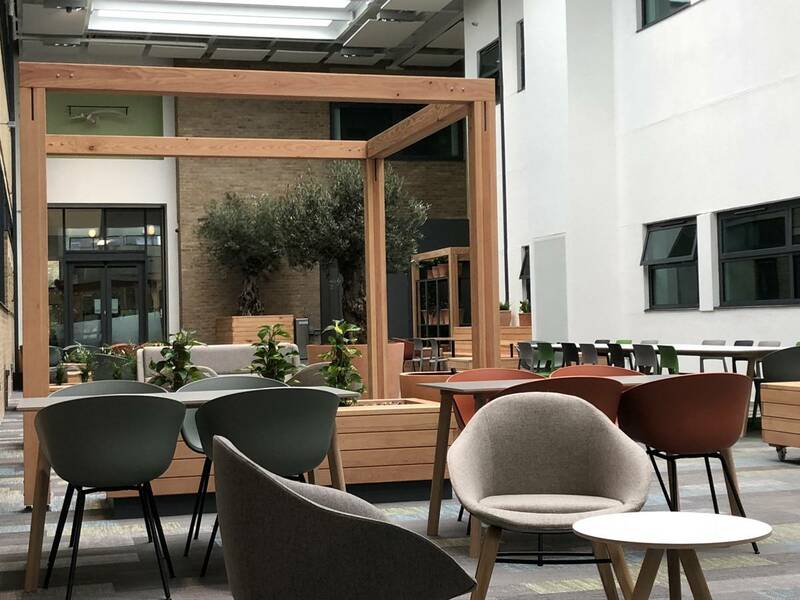 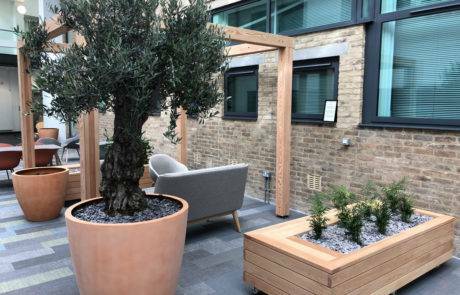 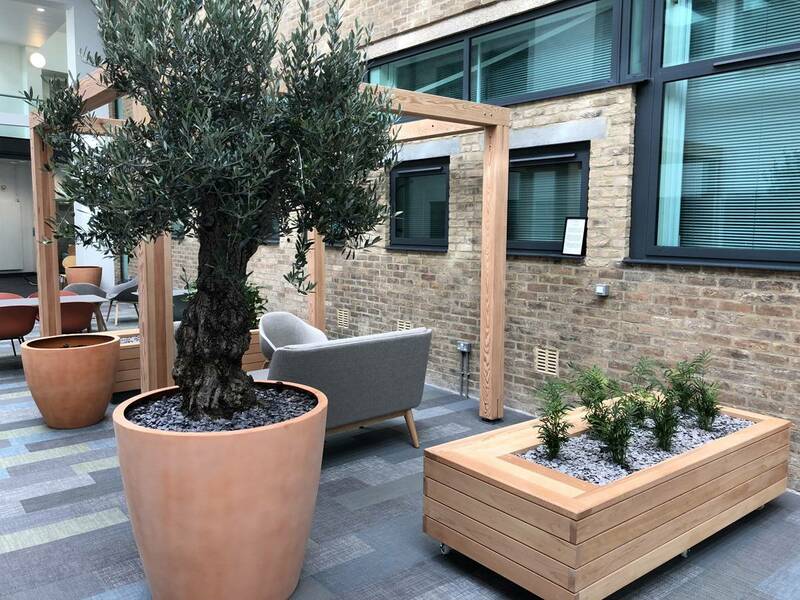 The atrium is filled with a wide variety of plant species, including a 250 year old olive tree, which fill a number of bespoke beech wooden planters throughout the area.